From Tinie Tempah backstage at the BAFTA's to Pharrell being joined on stage by Diddy, Snoop Dogg and Busta Rhymes, these are all the pictures you need to see this week. 1. 1) Rihanna was a late entrant into the Winter Olympics. 2. 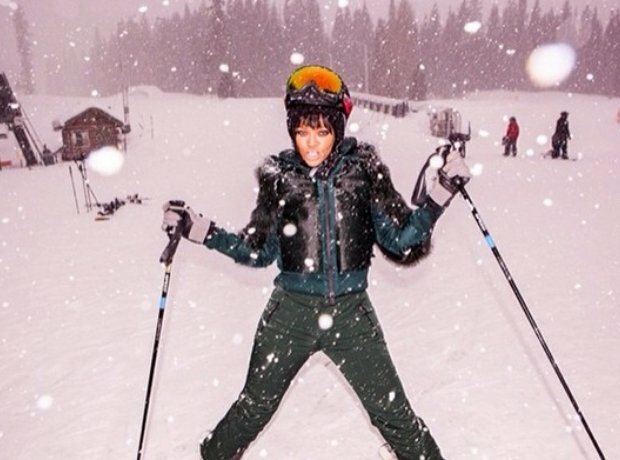 2) OK, so actually Rihanna celebrated her birthday on a skiing holiday. 3. 3) And she got this cake. 4. 4) You'd think it was cold there... But nowhere's too cold for Rih! 6. 6) Both Pharrell and Tinie Tempah looked surprised to bump into each other. 9. 9) When Meek Mill and P Diddy got together for a video shoot. 10. 10) The moment Nile Rogers confirmed he'll be performing with Pharrell at the BRITs. 11. 11) When Beyonce had a funny way of saying what's for dinner tonight. 12. 12) When Drake and P Diddy went to the game. 13. 13) And Drake got really, really involved in it. 14. 14) We really want Drake to tell us what that text says. 17. 17) And yes, that is another hat Pharrell is wearing, this time red. 19. 19) Of course, you have to grab a cheeky photo with Brad Pitt too. 20. 20) Tinie tweeted 'Another one ticked off the bucket list!' when he met Oprah at the ceremony. 29. 29) Then came another one, just for good measure. 31. 31) When Rick Ross wrapped up really warm, then forgot his gloves. 32. 32) Rihanna made it as Vogue USA March 2014's cover girl.